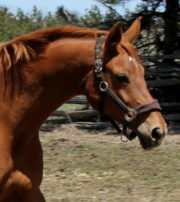 Bella Vista, a tall, modern mare, is an important and correctly conformed daughter of the exceptional sire Belissimo M, from a Florestan / Rubinstein damline. 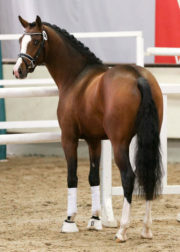 A States Premium Mare, Bella was accorded the honour of Reserve Champion of the Westfälische Eliteschau 2011. She delivered a very good Mare Performance Test as a three year old, scoring 8s for Walk, Canter, Rideability and Jumping, with an 8,5 for her Trot. 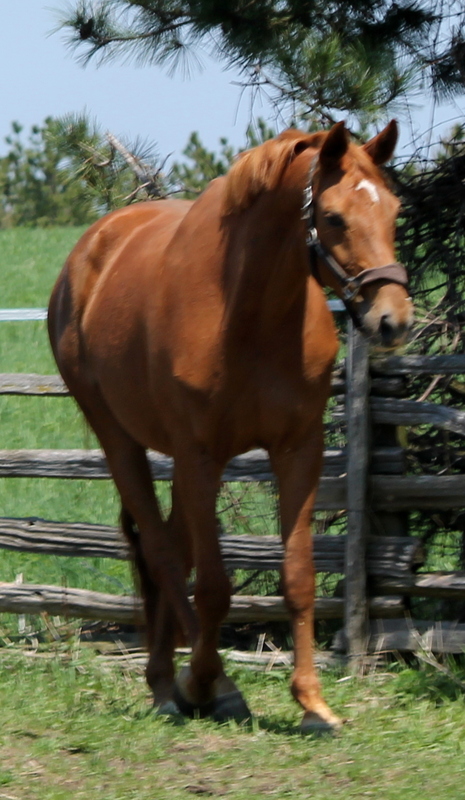 In her Studbook Inspection, she earned “8” in every category, showing herself to be well-endowed with natural movement, correctness of gaits, solid foundation and type / beauty. This very sympathetic mare, who exhibits excellent interior qualities, is pregnant by the Reserve Champion of the Westphalian Main Licensing 2016, Zoom v. Zack / SPS Don Schufro / SPS Brentano II / SPS Arogno. Zoom was Champion of his 2017 14-day Stallion Performance test with top scores including: Interior – 9.25, Character / Temperament – 9.5, Willingness to Work – 9.0, Trot – 8.5, Canter – 9.5, Walk – 8,5, Rideability – 9.0 and 9.5, Jumping – 7.5. His dual talent was confirmed with final scores of 8.88 Dressage and 8.03 for Jumping. Zoom is pictured to the right, below Bella. 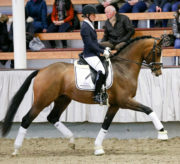 An exceptional stallion, Belissimo won his Zweibruchen stallion performance test with a record dressage score of 9.63, ahead of Florencio, then went on to become the 2003 Bundeschampion and fifth placed in the 2005 World Young Horse Championships under Holga Finken. Just in Germany, Belissimo’s progeny include (so far) six Bundeschampionate winners, more than 60 licensed sons including nine stallion performance winners, more than 65 dressage horses successful at S-level and above, and more than 80 states premium mares. UPDATE: Bella’s expected Zoom-baby (the first Zoom foal for North America) arrived May 15th – a flashy golden bay colt – looks just like dad! Zoomin’ is For Sale. 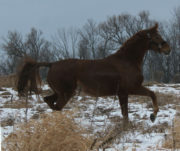 Video below shows Bella, the sire of her May 2018 foal, Zoom, and Bella Vista’s sire Belissimo M, from Aachen 2012.